Just eight days after taking up office, Jalisco’s new secretary of tourism was murdered in an upmarket area of Zapopan on Saturday, March 9. Jose de Jesus Gallegos Alvarez, 47, was shot dead after a brief pursuit along Paseo Via Acueducto at around 3.15 p.m.
Gallegos was being driven to his home in Puerta de Hierro when he was attacked by gunmen in two vehicles at the crossing with Paseo de los Parques. Gallegos’s driver sped north toward Avenida Patria as the assailants fired on his Toyota Highlander, causing it to crash into another vehicle and come to a standstill near the intersection with Josemaria Escriva. An eyewitness told Spanish-language daily El Informador that one of the assailants then disembarked from his vehicle, walked over to where Gallegos lay and shot him from point-blank range, before returning to his vehicle and calmly driving away. Gallegos’ chauffeur survived the attack and ran to a nearby construction site in search of help. Investigators found that 16 shots had been fired from two different nine-millimeter handguns. Of these, 13 hit Gallegos’ vehicle, leaving the rear windshield shattered. Jalisco’s new Central Prosecutor Rafael Castellanos told reporters that four suspects were arrested but he later announced that they had been released after residue tests showed they had not used firearms. Surveillance cameras did not capture the moment Gallegos was shot but from the footage investigators were able to identify the killers’ vehicles as a blue Chevrolet Blazer and a dark Volvo. Governor Aristoteles Sandoval, who had named Gallegos in his cabinet last month, wrote on Twitter, “My solidarity and full support for the family of J. Jesus Gallegos, I am with you in the grief that overwhelms you. You are not alone.” Sandoval later added that he had instructed state authorities to get to the bottom of the case and keep Jalisco informed. President Enrique Peña Nieto also condemned the attack, announcing that he had instructed federal authorities to aid local police in solving the crime and punishing those responsible. Gallegos, who had studied civil engineering at Guadalajara’s ITESO university, was a property developer who had spent most of his life working in Mexico’s private tourism sector. 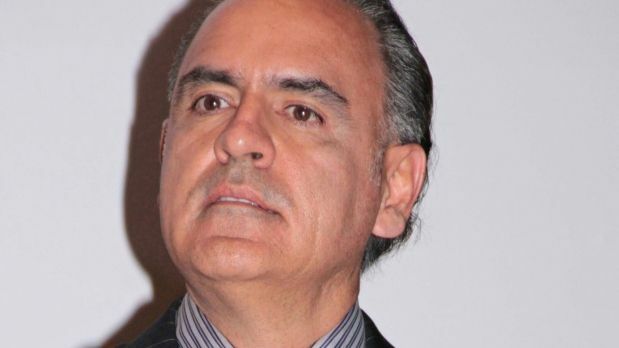 He was the founder and president of Jegal Project and Construction Management, which developed expensive resorts and luxury towers across Mexico, including the Mayan Resorts chain and Zapopan’s Torre de Hierro and Icon23 towers, both located just a few blocks from where he was killed. Guanajuato is a lovely city but I still think Guadalajara is a better place to live as there’s a lot more going on here. I know there has been an upturn in violence in the last year or so but it’s a very big city and if you’re not involved in any criminal activities you’re still very unlikely to fall victim to organized crime. I’m sure you’d have a great time in either city though!